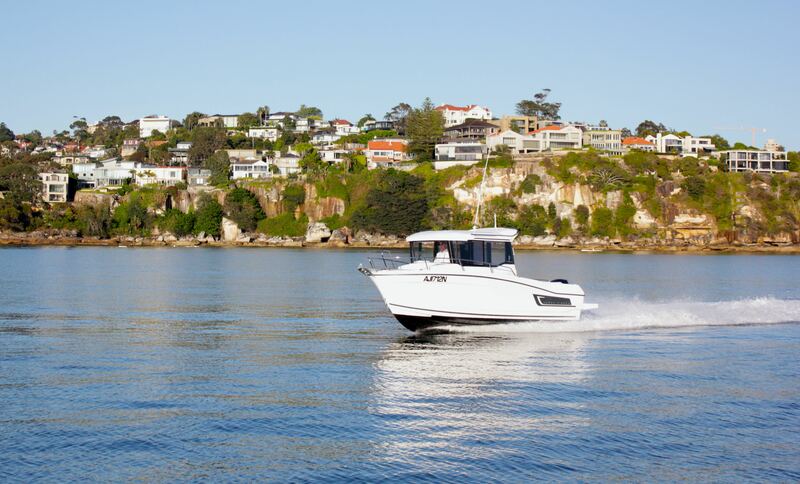 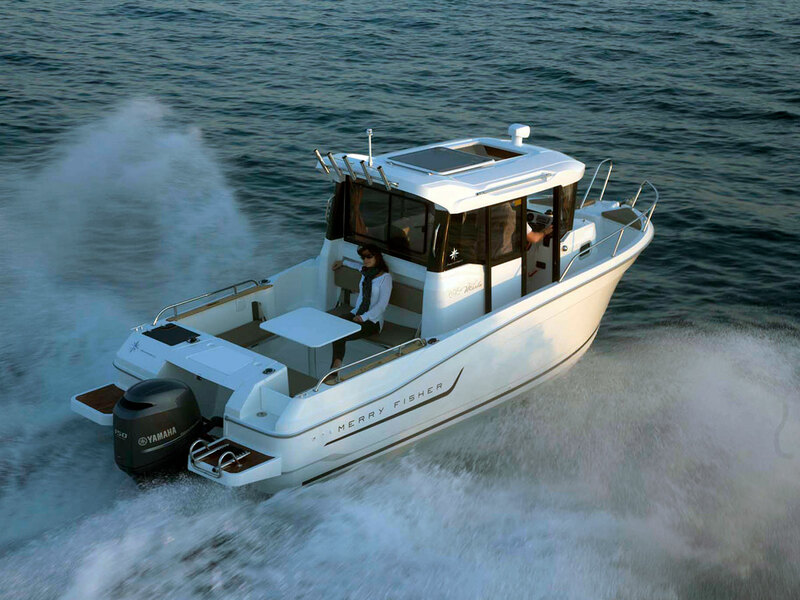 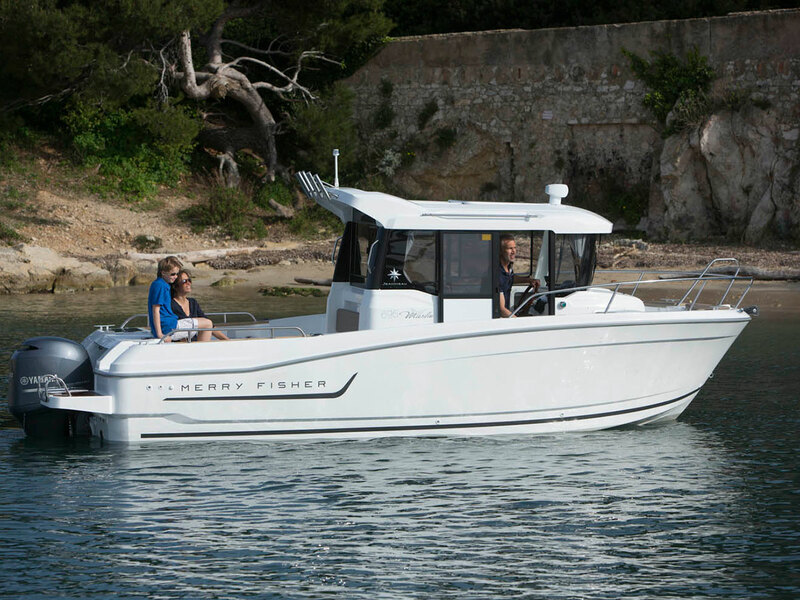 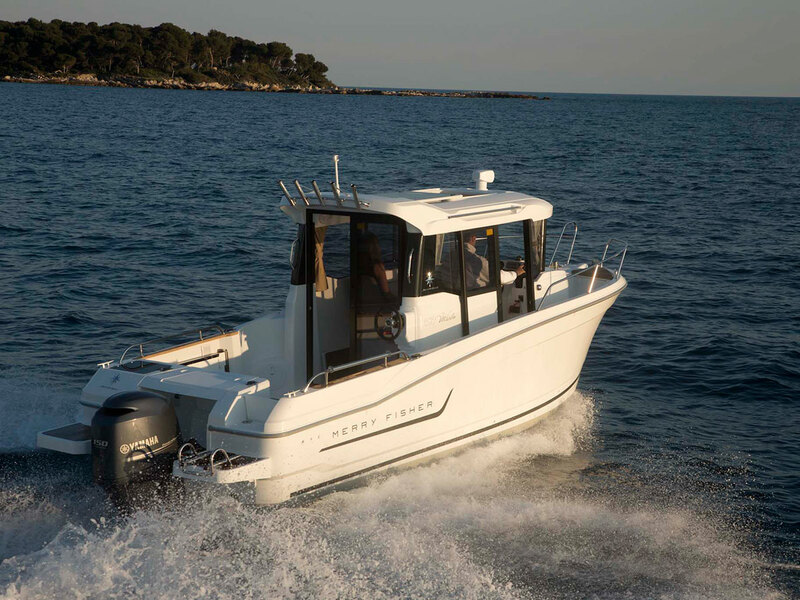 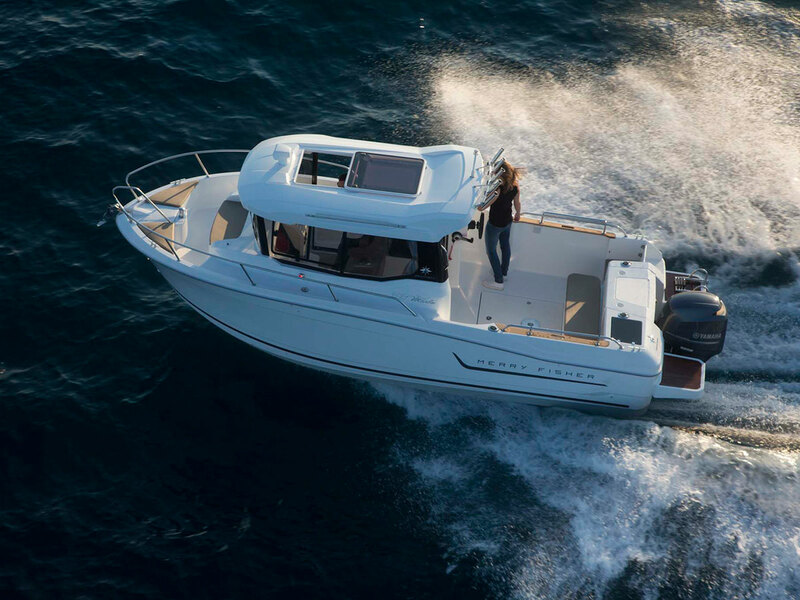 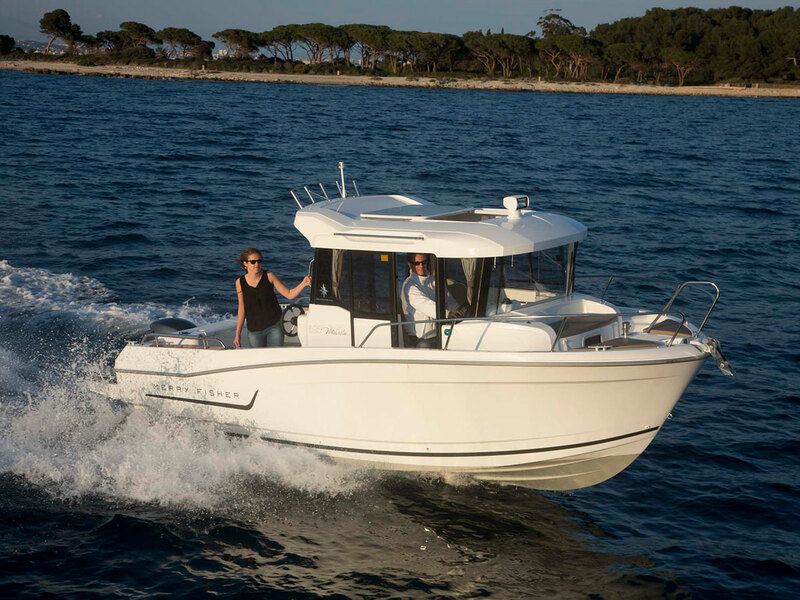 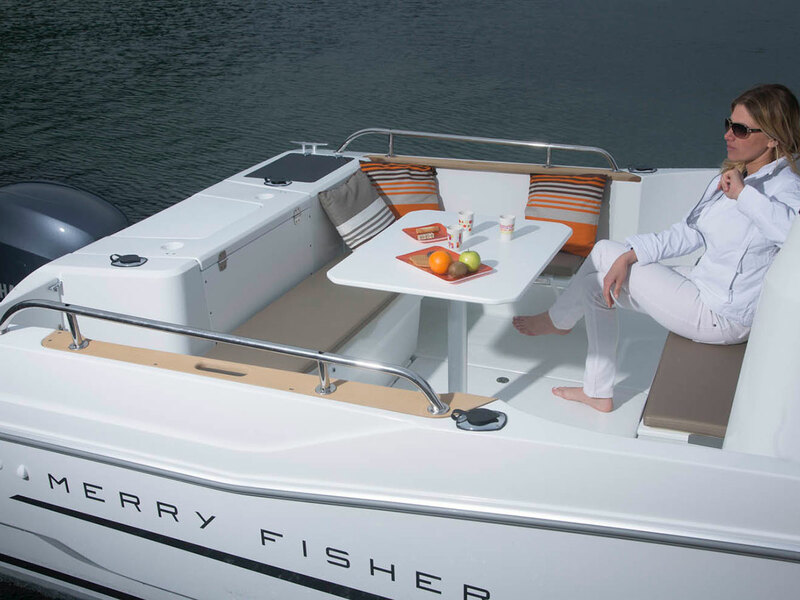 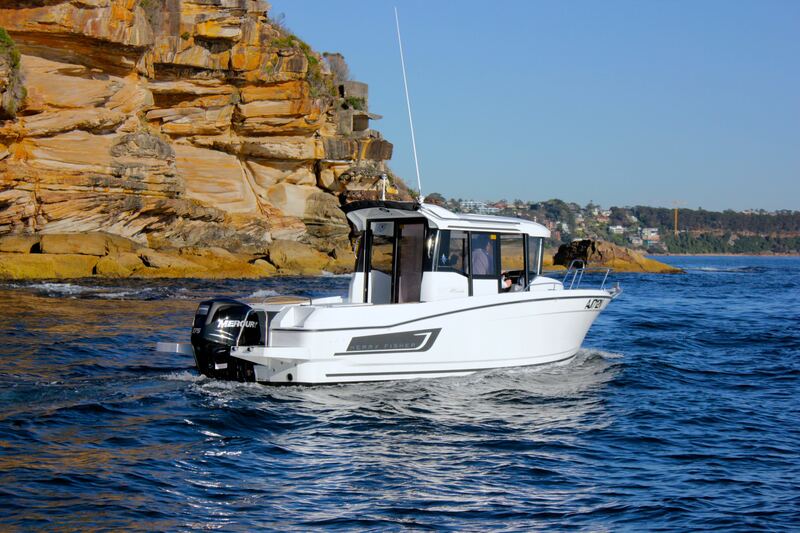 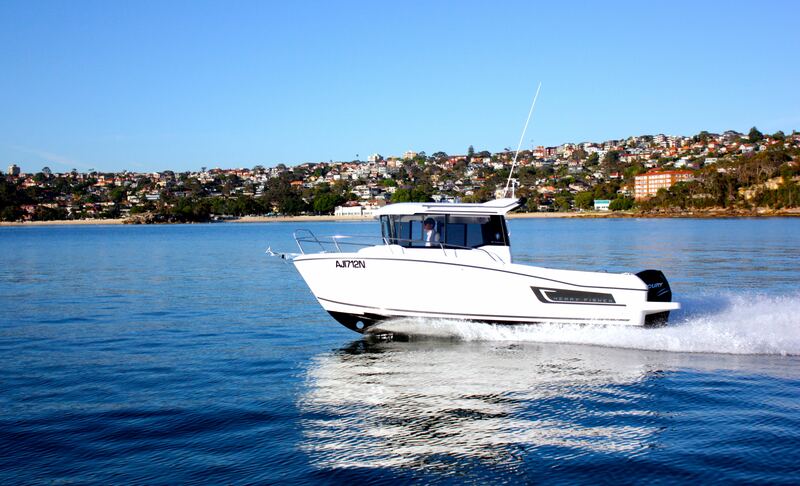 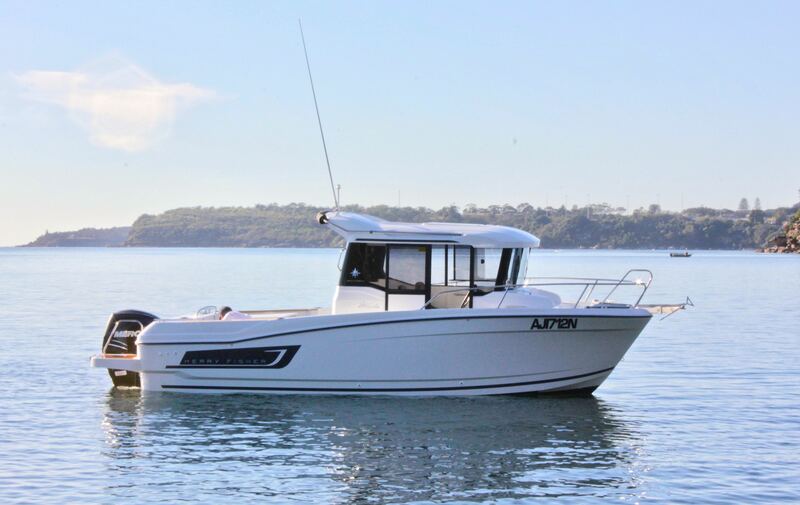 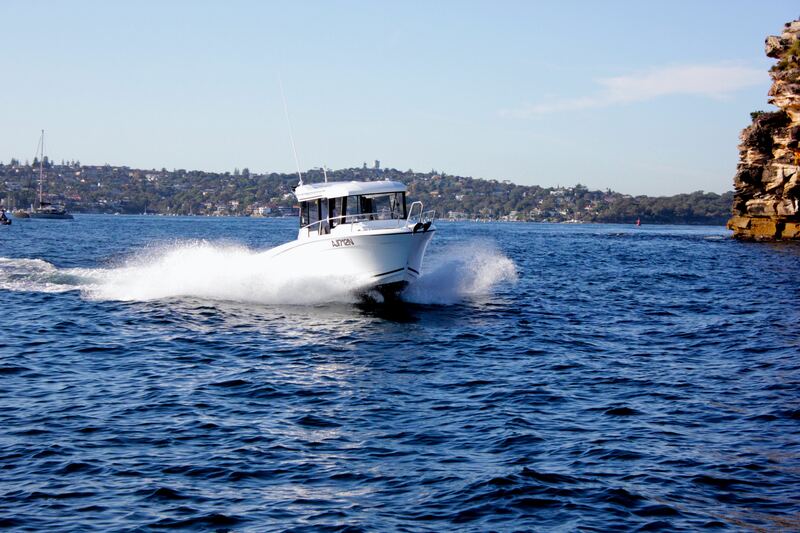 The Merry Fisher 695 Marlin features all the essential elements of the line, including: an adventurous look, side door access to a recessed side deck, and rear door access to a spacious aft cockpit. 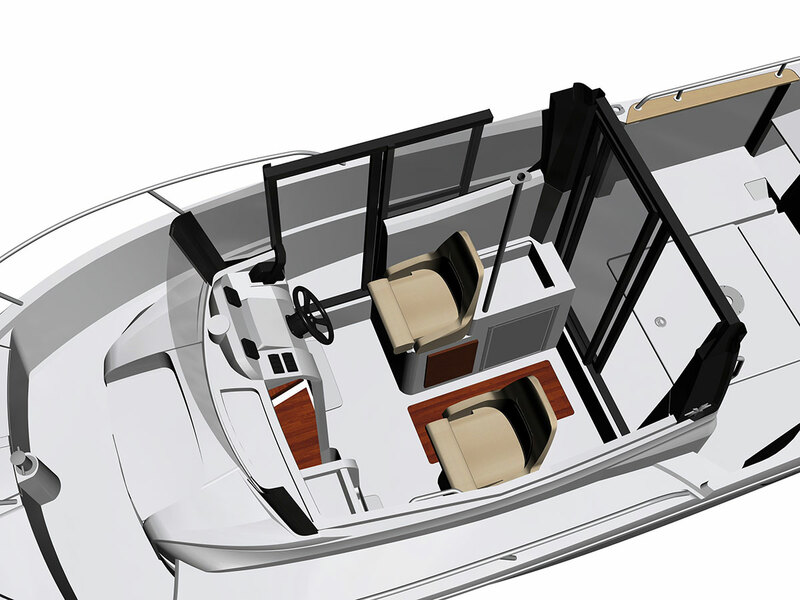 Powered by a 150HP Four Stroke, delivered to the East Coast inclusive of all government charges and dealer pre delivery. 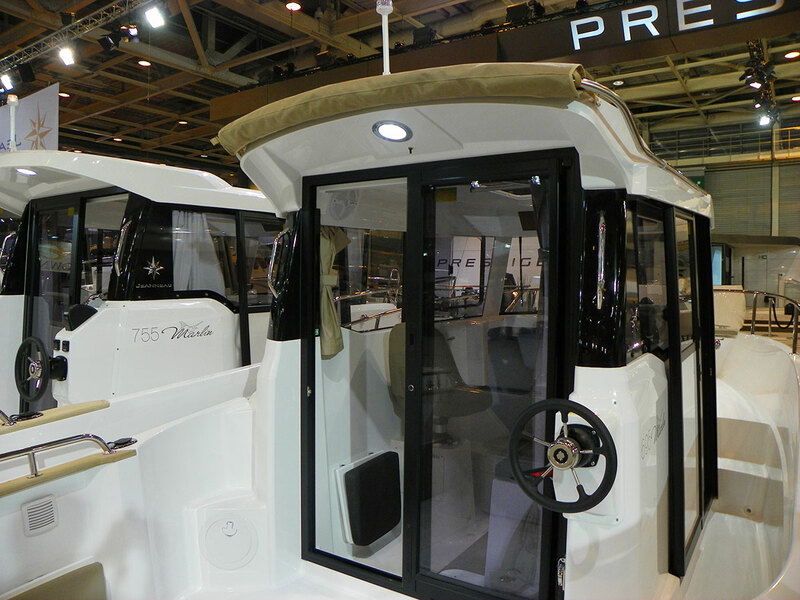 Trim Level Premiere 2019 including wheelhouse sliding hatch, sliding window at portside, second windscreen wiper, screen wash system and cockpit aft pulpit. 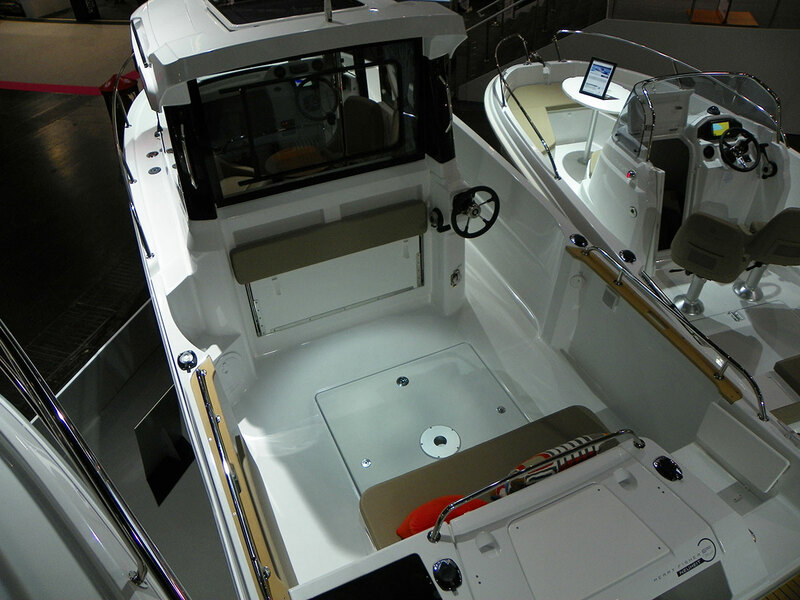 Upgrade to a seperate compartment with door and porthole. 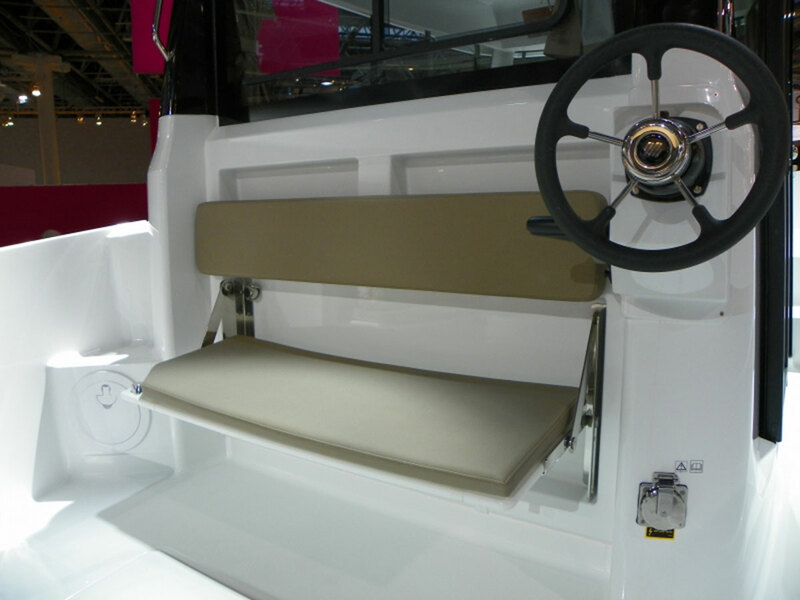 Upgrade to lateral sliding door starboard. 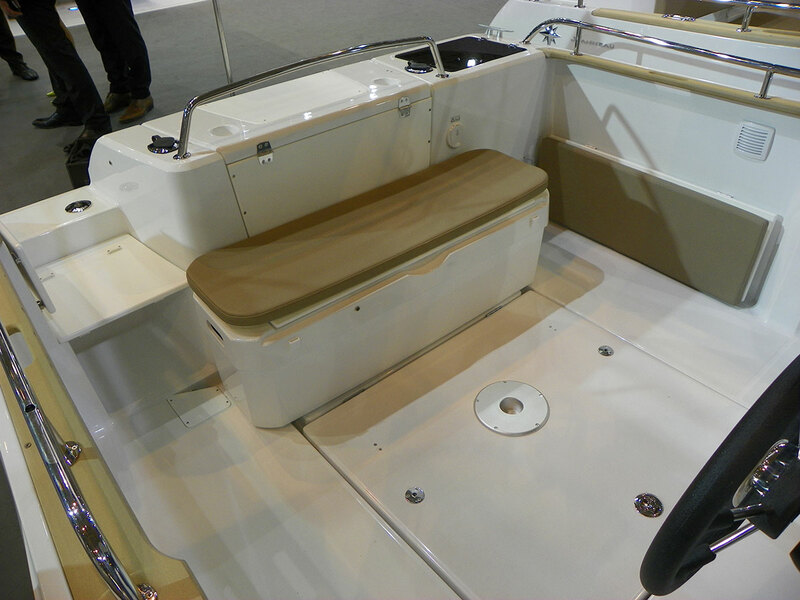 Sliding aft cockpit sun protection. 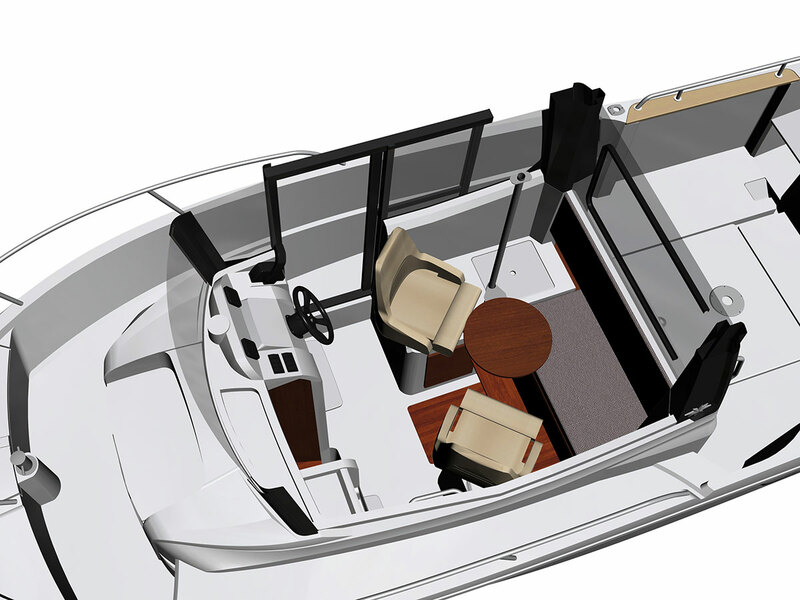 Fishing kit to include sea pump for deck washing, 2 additional rod holders on the stern and storage for fishing rods. 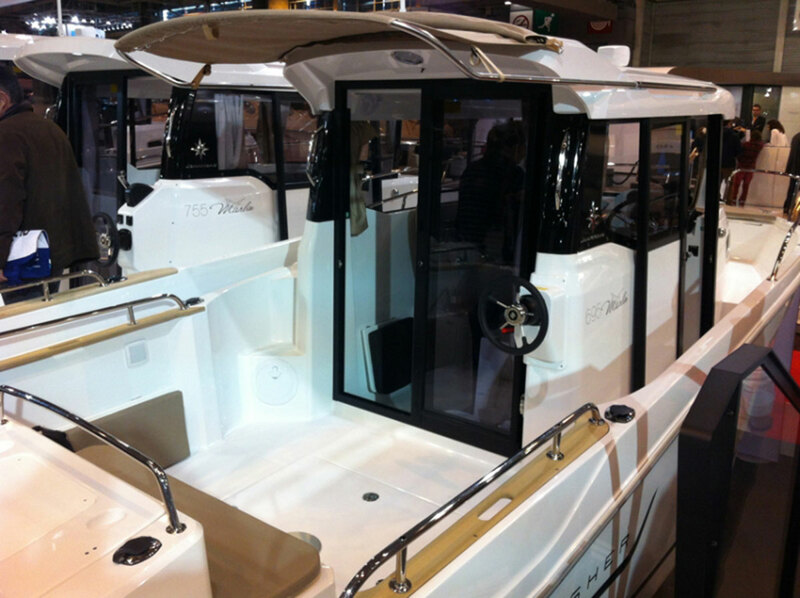 5 Rod holders on wheelhouse roof. 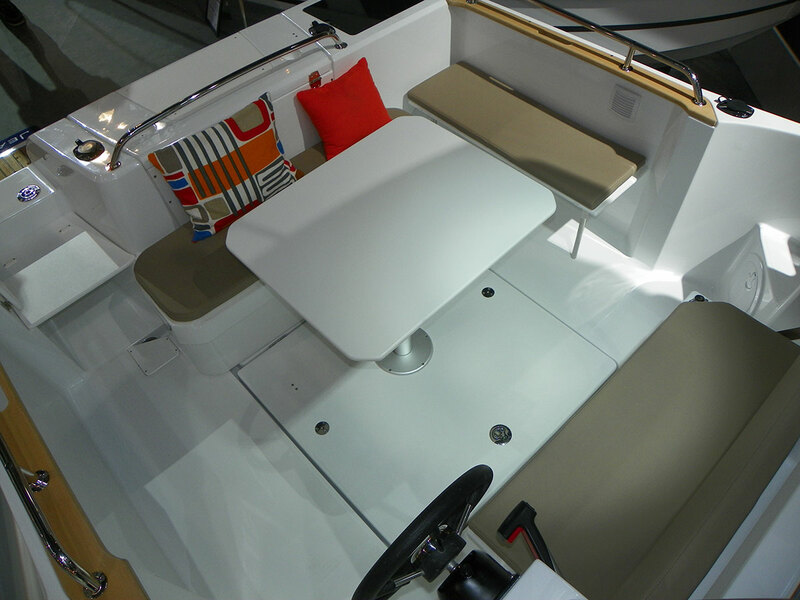 Cockpit side pulpits, table with aft bench cushions. 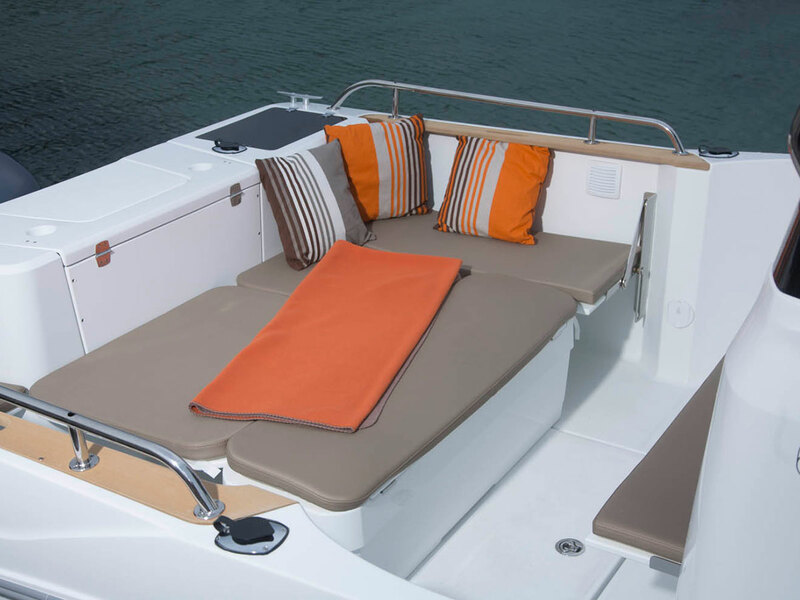 Aft and fore cockpit cushions. 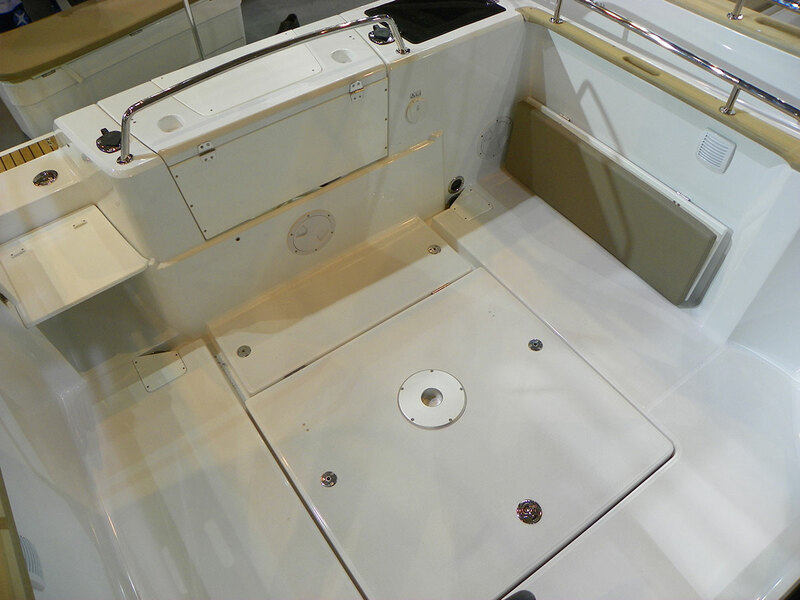 Fresh water system with tank and cockpit shower. 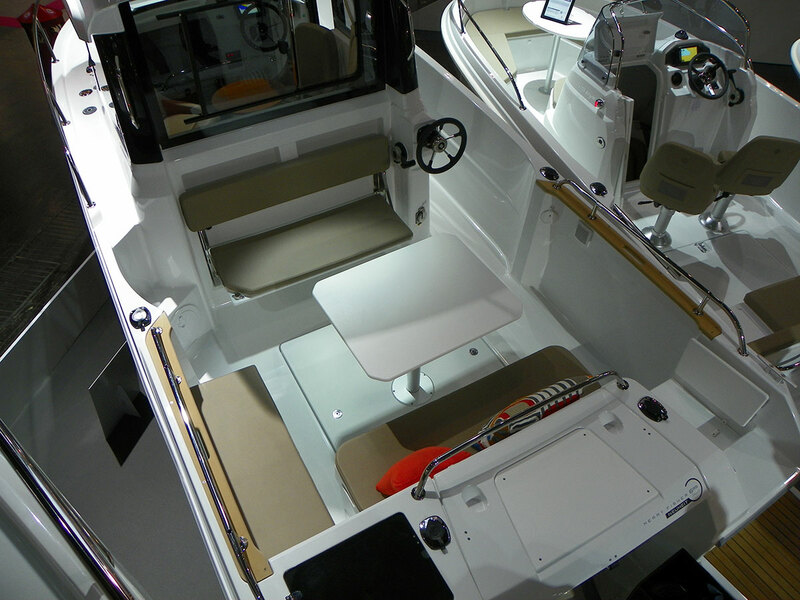 High power cockpit ceiling light. 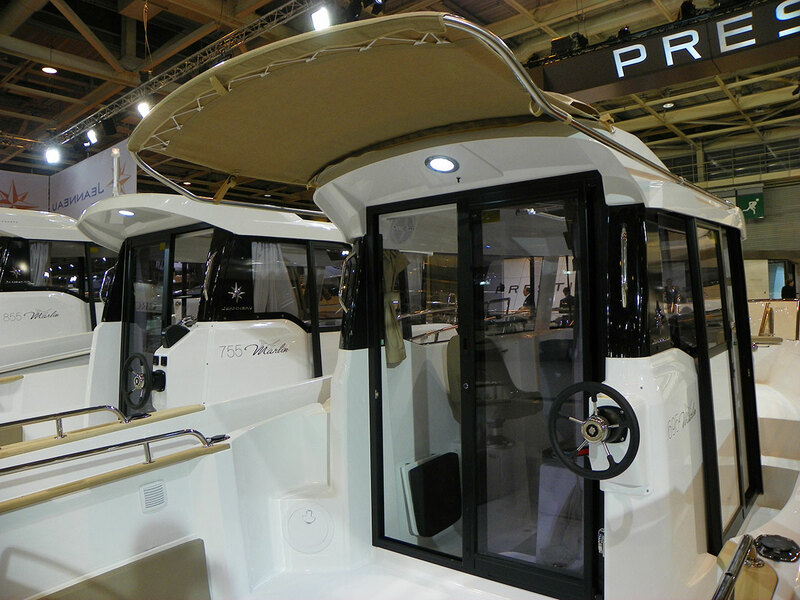 Opening porthole in the cabin. 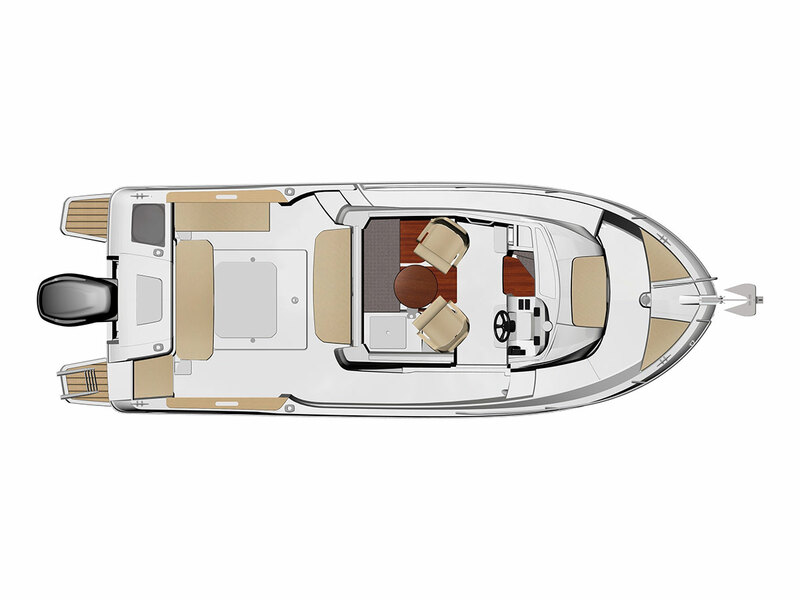 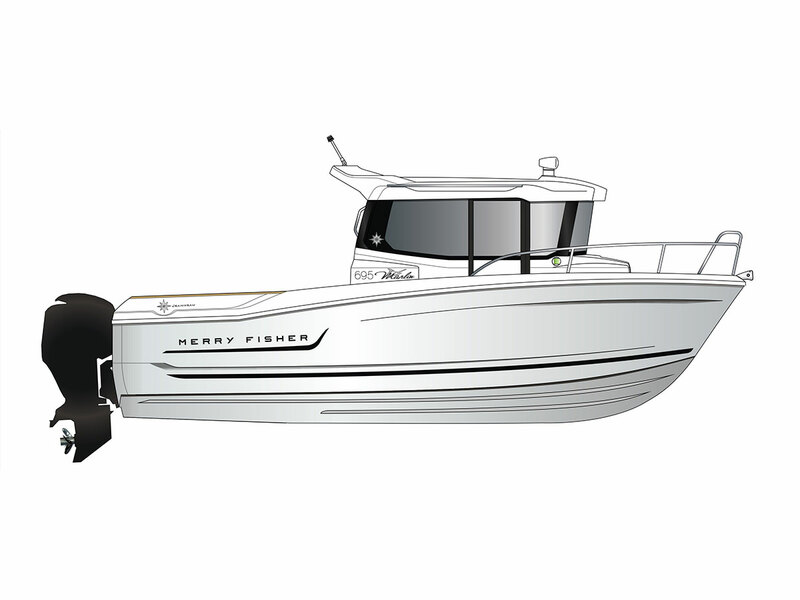 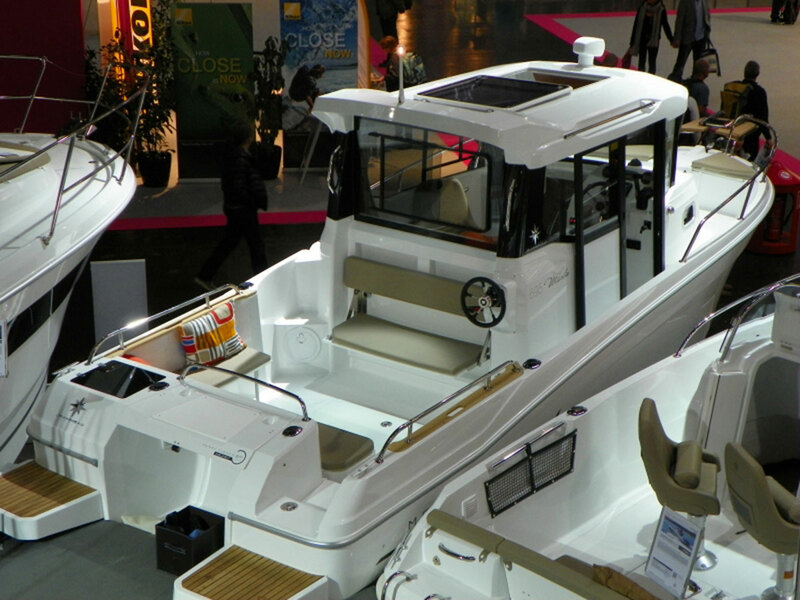 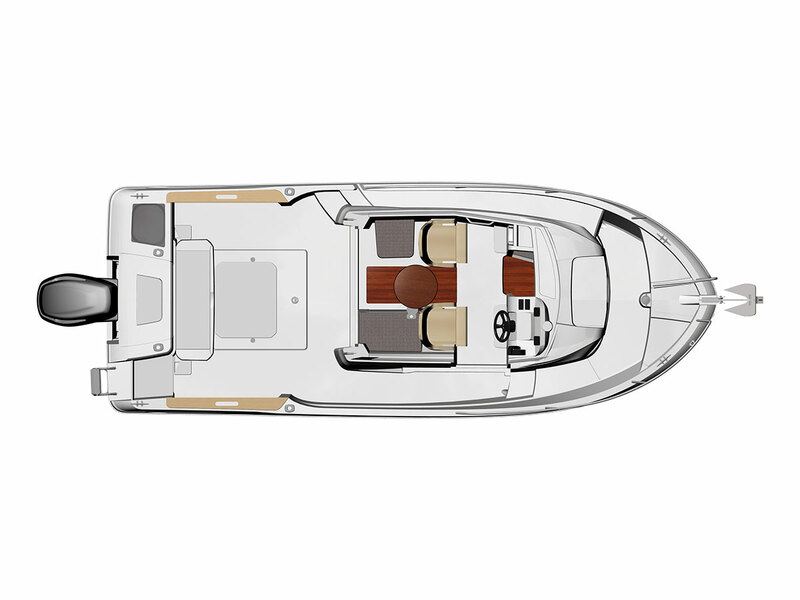 In the two-door configuration, as shown above, the new Merry Fisher 695 Marlin is perfectly adapted for fishing. 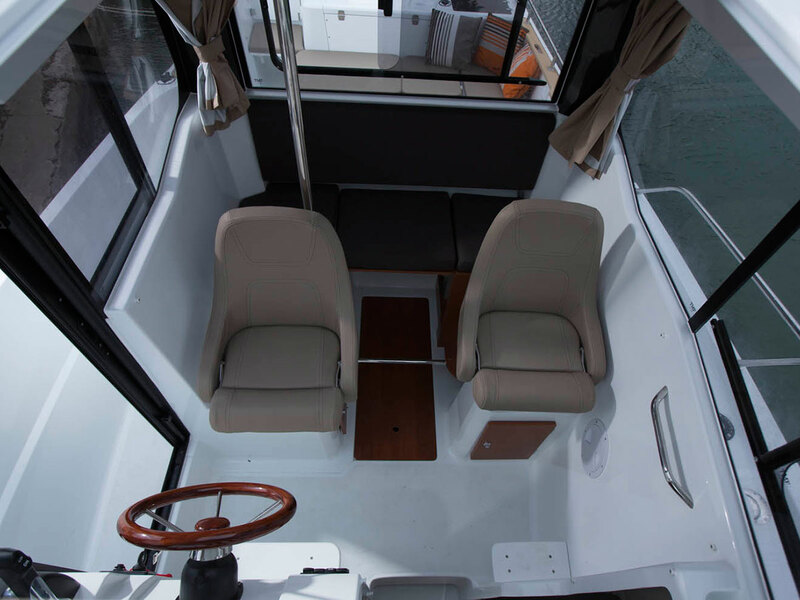 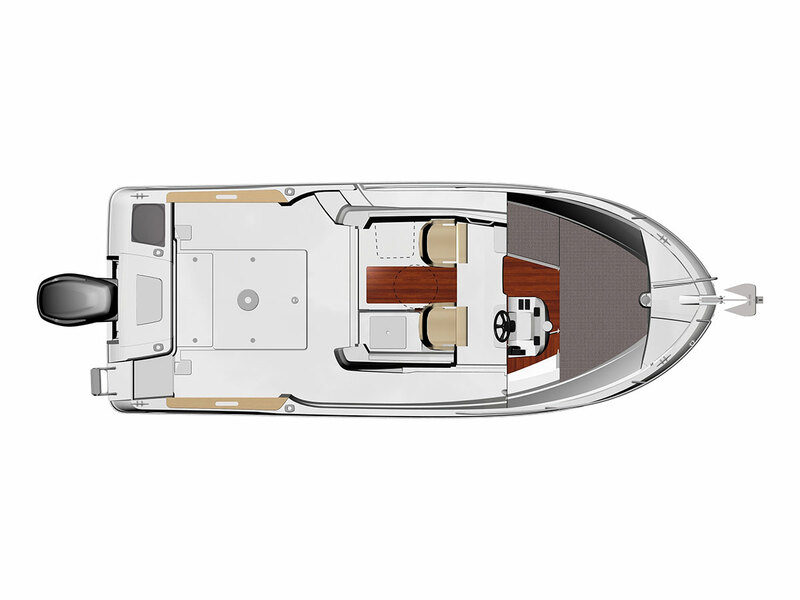 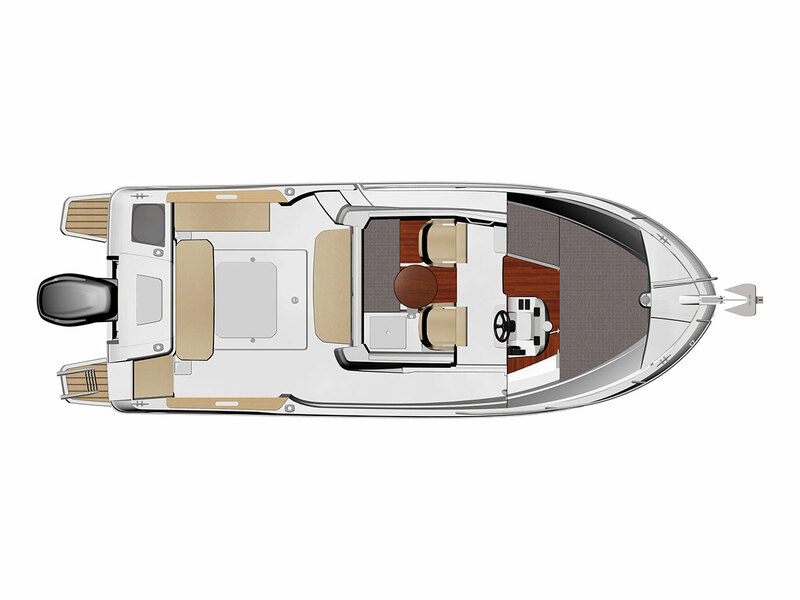 With the sliding glass door aft, well-protected side decks and deep cockpit, movement about the deck between the helm and the entirely open cockpit is safe and easy.